We are the foremost trader of elevated range of Pharmaceutical Syrups. The offered syrups are formulated at our vendors end with the help of finest quality ingredients and advanced technology, in compliance with set medical norms. These syrups are used for treatment of several king of deficiency diseases in kids, adults, old-age patients, etc. The offered range of syrups comprises items likes Ferrous Ascorbate EQ to Elemental Iron and Folic Acid, Chlorpheniramine Maleate & Dextromethorphan Hydrobromide, Cyproheptadine and Tricholine Citrate & Sorbitol, Megaldrate And Simethicone, and many more. Cyproheptadine HCl Tricholine Citrate Syrup contains Cyproheptadine HCl, and Tricholine Citrate as active ingredients. We are reckoned as one of the eminent name in this industry offering quality assured range of Bromhexine Hydrochloride & Menthol Syrup. Under the supervision of our expert chemicals engineers, these are specifically formulated using optimum quality ingredients and correct formulation techniques. Further, our professionals ensure that the range is carefully packed and stored under controlled condition so as to enhance their shelf life. This range of Bromhexine Hydrochloride & Menthol Syrup is free from any kind of flaws and is developed as per the demand in market. Considering our enormous experience and knowledge in this domain, we are well known for offering L Ornithine L Aspartate Syrup in the market. These products are made by using supreme quality raw materials and state-of-art technologies under the monitory of adroit professionals. 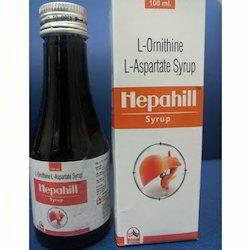 Our offered range of L Ornithine L Aspartate Syrup is highly reliable in nature and sustainable for long time period. Due to its effective results user will feel pleased after the use of this product. 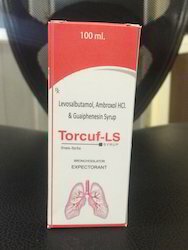 We are instrumental in offering optimum quality Paracetamol Syrup to our valuable customers. The offered syrups are processed from high quality ingredients, which are sourced from authorized and certified vendors. Owing to their sweet flavor, quick response, accurate composition and long shelf life, these syrups are highly demanded in the treatment of different types of fever. Our company is instrumental in offering optimum quality Multimineral Syrup to our esteemed customers. Available with us at industry leading prices, these suspensions are used to treat the deficiency of vitamin b6 and vitamin b12. Offered suspensions are available with us in tamper-proof packaging due to our well-equipped packaging unit. 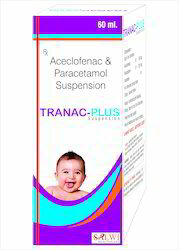 We are offering Paracetamol Suspension.